We are experienced at handling the issues that impact consumers and we are committed to protecting our clients from creditors and debt collectors. Our approach is to take a comprehensive look at the issues affecting you on an individual basis and then tailor our response to your unique problems. There is no one answer that addresses everyone’s problems. There are many aspects of bankruptcy that are unfamiliar to the average person. There are misconceptions that range from fear that your credit will be destroyed forever to the fear that you will never be able to buy a home. Neither of these things are true, in many situations bankruptcy is actually the quickest and easiest way to improve your credit! Feel free to contact us and we will be happy to explain this to you. 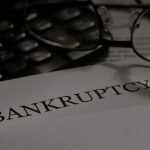 We will help you understand how bankruptcy works and how it will affect you and your financial situation going forward. Bankruptcy can finally give you peace of mind. For many consumers the weight of their debt seems insurmountable. There are a variety of reasons that frustrate you when you are having financial troubles, from endless phone calls to garnishment of wages. Many people have reached this place through little or no fault of their own. From unemployment or reduced income, to illness, whatever the reason, bankruptcy is an option to get you peace of mind. You get a fresh start. People often get into financial problems because of circumstances beyond their control, especially during an economic crisis. History tells us that debt forgiveness gives you the chance to look forward so that you can care for yourself and your family. Call us today to set up an appointment with one of our experienced attorneys. You will not find better representation anywhere else.